As active social users critique every facet of life from dining experiences to traveling adventures, healthcare interactions have naturally become a part of the conversation. Healthcare marketing and communication teams must be proactive as well as reactive in connecting with the right consumers in a positive and helpful way in order to stay ahead of the social conversation. Connecting to your market and providing positive value on a social level is often achieved by keeping an active blog and building a community outreach program. For the Arkansas Children’s Hospital, this has taken shape through their Injury Prevention Center content hub. This online destination has launched awareness campaigns to raise awareness of risks kids face during the summer, their #100DeadliestDays campaign. This is also their home base for advertising special programs like T.A.I.L.S., Knitting for Noggins, Festival of Stars. This online hub is a clear message from the hospital to their community that they have a high regard for the care and well-being of the area’s children. It’s truly the best form of positive advertising available! The Mayo Clinic made the CrowdClinical.com list of hospital Twitter feeds that have "the most positive patient experience tweets sent to them." Reviewing the activity on their site, it’s easy to see how. As defined on their about page, The Mayo Clinic Social Media Network (MCSMN) was initially established to improve health globally by enhancing the use of social networking tools throughout Mayo Clinic. 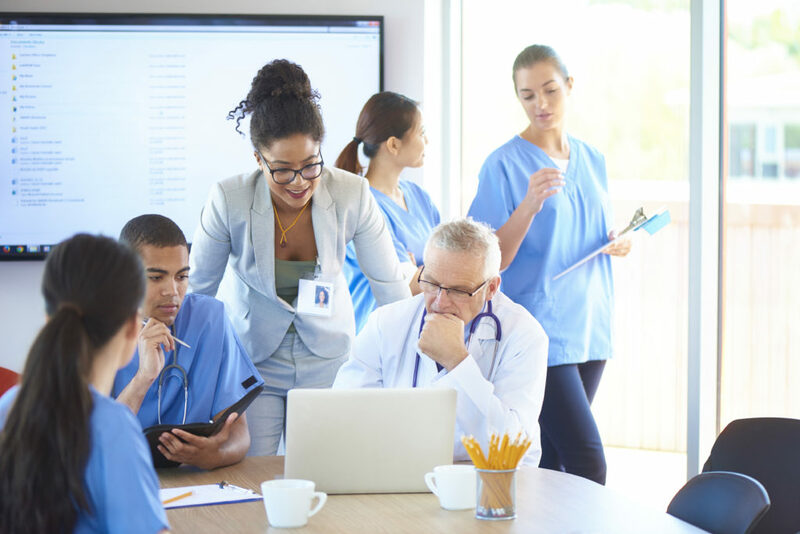 Since 2010, it has evolved to include a collaborative learning community whose members include hospitals, healthcare communications professionals and medical providers, as well as patients and caregivers from around the world. With 10 members on their Social & Digital Innovation Team, which includes medical directors as well as communications specialists, Mayo Clinic is setting a new standard for what it looks like to overlap social outreach with medical care. Through their Circle of Moms, an online family health community, and the Merrimack Valley Moms, a mommy blog, they have established an online destination that meets the needs of their target consumers. Featuring expert advice from physicians, popular children’s health topics, community event listings, and an easy way to connect with other parents in the community, they provide a place for parents to feel comfortable and connected. They naturally relate to the conversations had around family tables through their Top Ten “What Mom’s Ordered” series and with posts referencing Pokemon Go and the Olympics. These culturally relevant posts point to their interest in all facets of their patient’s lives, establishing them as a friendly and relatable family partner. As we discussed in this recent post, Increase Marketing ROI: Use Data to Focus Your Outreach, Stratasan’s Micro-Target Marketing is your best first step in getting to know your consumer. Micro-target marketing analyzes smaller geographies as well as Tapestry Segments, enabling you to target your social outreach by geography. In the past, hospitals and health systems have analyzed data at the ZIP code level, which can be useful, but is still much broader than the precision available through micro-target marketing. Block groups, the smallest geographic unit currently reported by the census bureau, are smaller than ZIP code. Understanding your market by block group leads to an awareness that may be unavailable when using only ZIP codes. Key metrics, based on goals, are given weighted values and used with block group data to identify “high opportunity” groups. These can then be compared with market dominance data to pinpoint new opportunities. Each of these areas has a corresponding data-based Dominant Tapestry Segment. Focusing on these identified block groups (and their accompanying data) allows for more focused and targeted social outreach. With the increasing importance of social media and the power it gives to customers to promote or criticize your offerings, it’s important to be proactive in telling the story you want to have shared. While you can never prevent every negative social interaction, by setting the stage for positive interaction with your community, you have the power to minimize the negative and highlight the good that is happening. Through Micro-Target Marketing, you can take your social outreach a step further, better ensuring that the outreach you have planned aligns appropriately with the social consumers in your community and increasing your chances for social conversation success. If you would like help developing your strategic growth marketing process, please email sales@stratasan.com.